Use Vision, our internal scanner to find weaknesses inside your business network. SecurityMetrics Vision discovers threats inside business networks. It scans for internal vulnerabilities and alerts you when potentially harmful vulnerabilities are found. Detect security weaknesses inside your network by scanning your internal network on an automated schedule. This helps you search for thousands of vulnerabilities that may leave you open to compromise. Through an encrypted tunnel, SecurityMetrics network security tool combines multiple scanning engines to provide in-depth vulnerability detection scanning. Internal scanning assists with PCI DSS requirements 6, 10, and 11. 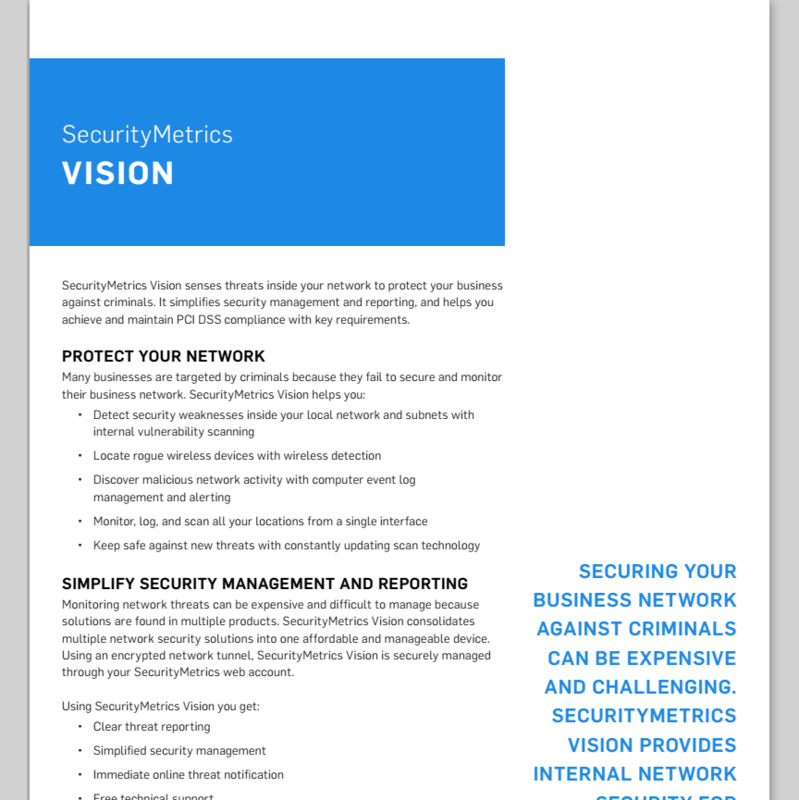 SecurityMetrics Vision is simple to set up and begin using. After unpacking the device, you simply follow the Quick Setup Guide and login to your account via the SecurityMetrics website. Once signed in, you are guided through the product setup to ensure proper feature configuration. SecurityMetrics Vision provides varying levels of account access to monitor devices.  Admins are provided permission for total oversight while other users may be given only specific permissions associated with fewer locations. This is especially helpful for franchises, multi-location companies, and VARs. As you take steps to secure your business network, support is only an email or phone call away. SecurityMetrics' Vision customers are assisted by technical support experts that answer even the most basic questions. Monitoring network threats can be expensive and difficult to manage because solutions are found in multiple products. SecurityMetrics Vision consolidates multiple network security tools into one affordable and manageable device. Premiere Sports Travel engaged with a new partner in early 2009. PCI compliance was a major component of ensuring this partnership was possible. We started our account with SecurityMetrics in September 2009, and quickly realized we had a lot of work ahead of us. The relevance of ensuring proper ecommerce website security and protecting card holder data continues to be paramount for our organization, and we could not manage this process better without the reporting tools and excellent technical expertise provided by SecurityMetrics.